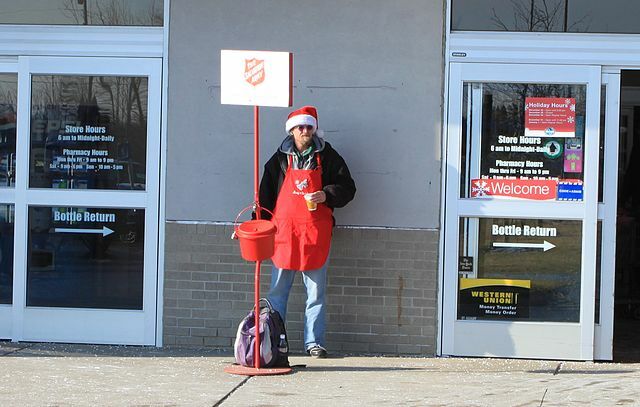 Many people drop spare pennies or nickels into Salvation Army buckets around the holidays. Some others drop pure gold coins. Last Friday in Portland, Oregon, the Salvation Army found a 1-oz. Canadian Gold Maple Leaf coin in one of its donation kettles. The spot price of one ounce of gold is currently around $1,200. This is the sixth year in a row that the Salvation Army has found a valuable precious metal coin in one of its Portland kettles. North Carolina has also been repeatedly receiving gold coin donations for several years, the most recent one being a gold Australian Kangaroo coin. The Salvation Army hopes to raise $750,000 during this year’s Christmas season for need-based services in the Portland area such as heating houses, feeding hungry families, and providing shelter to domestic abuse victims. Interested in gold ownership? Call American Bullion today at 1-800-326-9598 to speak with one of our precious metals specialists.